Every day, Marcie strives to bring passion, purpose, high energy and a "get 'er done" attitude to all that she does. A lifelong learner with 25+ years' experience in various industry verticals related to Information Technology and Consulting, Marcie applies her genuine desire to get to know others, her innovative marketing approaches as well as her, technical, analytical and engineering qualifications. 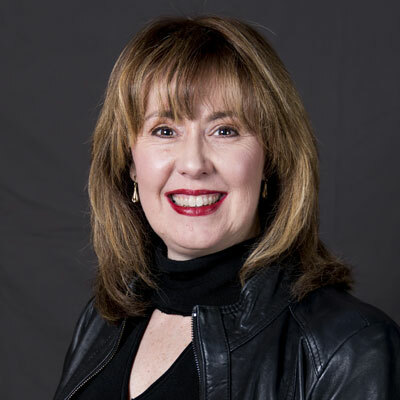 Most recently, after spending 7+ years in the reseller channel at Insight Enterprises as VP of Product Marketing, she turned her focus to HP Enterprises as the Americas Relationship Director for HP Financial Services (HPFS). Her role includes all aspects of the relationship between HPFS and HP Inc., including the channel. Marcie holds a Bachelor of Science degree and certificate of Applied Science from Acadia University as well as a Bachelor of Industrial Engineering degree from Dalhousie University in Nova Scotia, Canada. She currently lives in Phoenix, Arizona with her husband Jon and two daughters Katie (21) and Emily (18). In her spare time she enjoys writing a blog sharing stories from her leadership journey with each submission challenging the reader with "Leadership Questions of the Week" and the concept that YOU make a difference! It's ALL about relationships and understanding the unique opportunity with the Channel. Since joining HP Financial Services, I continue to reach out to the reseller & distribution community to better understand how Financial Services can accelerate our shared clients moving to an IT consumption model or "as a service". Most recently, I have been a part of a dynamic team from both HPFS as well as HP Inc. to bring Device as a Service (DaaS) to market as well as the emerging opportunities as HP moves into the A3 copier space. This has really challenged both companies to become humble listeners and pushed us to react quickly to the needs of our channel partners as well as the needs of our shared clients. I believe traditionally we have been focused on the Finance side of the house and while that is our bread and butter, we also need to have strong executive relationships in Product Marketing/Management as well as Sales. I am excited about what HP Financial Services is doing to enable the new style of IT and how I can play a part in our channel relationships & Go to Market offerings. HP Financial Services is looking to grow our channel business 30% YoY. HPFS & HP Inc look to leverage the power of the channel for a broader reach of Hardware, Software and Services to partner enabled IT consumption solutions to our shared clients. The opportunity for growth is exponential as clients look to leverage the latest and greatest technology from HPs PC & Print portfolio. It is about moving from a device centric model to a workspace centric solution. HP Financial Services is uniquely positioned to enable that to happen in a cost effective, seamless manner. I have to admit that I have not received any formal awards or commendations over the past year. I can also say, that I have never been happier or more proud of the work I am doing in both my personal and professional life. For the first time I can remember, it's not about me and my accomplishments, it's about the team and letting the results speak for themselves. Probably the biggest honor this past year has been to be highlighted by CRN as a Women of the Channel and to share aspects of my learnings with others. Meg Whitman has been my role model over the past few years. Meg not only has been a trailblazer and dynamic leader of companies such as EBay and HPE but she has raised a family and run for public office. Her philosophy of the 'Power of Many' is one that resonates strongly with me. Her innate belief that people will almost always do the right thing is the cornerstone of her team building and trust in the people she leads. "Success isn't final, failure isn't fatal, and it's the courage to continue that counts". We get a chance each day to do something wonderful and amazing. Some days we will be more successful than others. In fact, I have found more happiness in the journey and the bond that is created during moments when I have not been at my best. Success is always fleetingit's never in timeand rarely results in the satisfaction we dreamed it would. Make strides to create "the life you were meant to live" and appreciate those around you along the way. Top of the list is; Social Media influencing/selling as well as effective/powerful public speaking. I consider myself to have some capabilities with both but feel that mastering them is key. On the social media side, how do you deliver the right content, at the right time, being careful not to deliver too much (or too little) and all the while being purposeful and consistent with your Brand? Once you have established your Brand and become sought after as a speaker, how can you ensure your message is crisp, compelling and delivered in an authentic way that resonates with your audience? "The Power of Moments" by Chip Heath & Dan Heath is an easy "plane ride" read. I have always been fascinated why certain moments stick with us and others don't. The examples and discussion around paying attention to what is happening around us daily as well as how we can make moments more memorable gave me a lot to think about. As the authors say; "Many of the defining moments in our lives are the result of accident or luck - but why would we leave our most meaningful, memorable moments to chance when we can create them?"